A take on the classic, this is rum-spiked custard sandwiched between banana slices and swirls of whipped cream, topped with white chocolate curls. 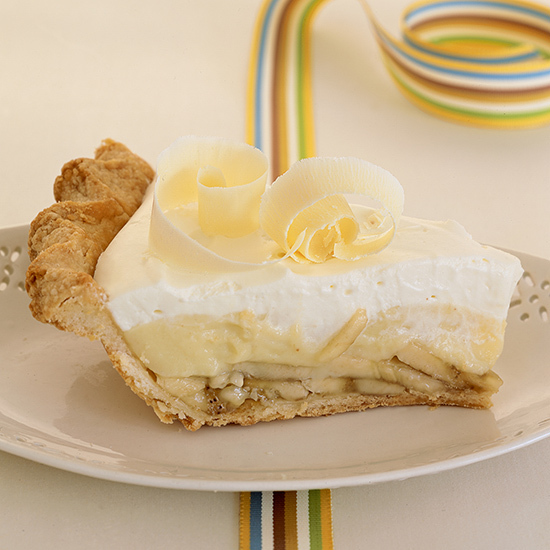 While it's hard to choose a favorite pie, the ethereally light and fluffy banana cream pie, would surely make the short list. From classic banana cream pie to creative parfaits, here are five excellent recipes to make in honor of the delicious diner pie. 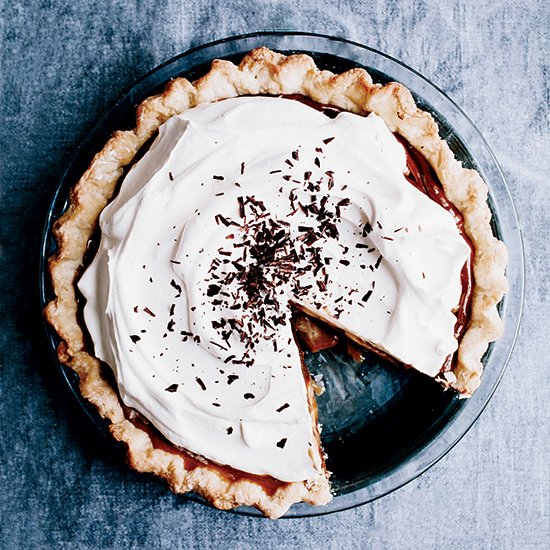 Self-titled "pie master" Valeri Lucks marries two of her restaurant's best-selling pies: chocolate cream and banana cream. Cookbook author Joyce White's incredible pie features luscious rum-spiked custard. 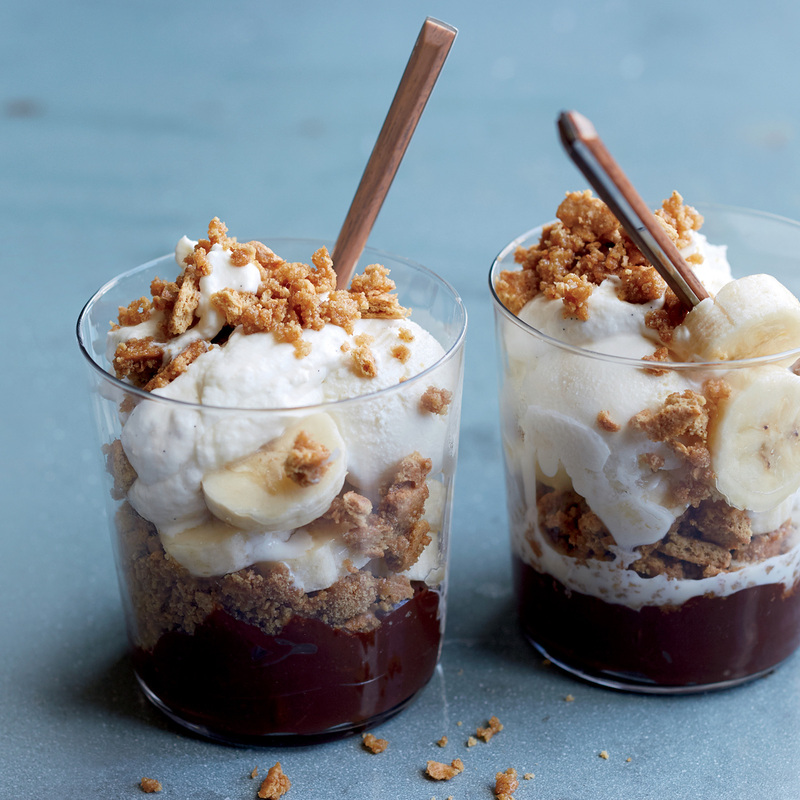 To make her outstanding deconstructed banana cream pie, pastry chef Michelle Karr-Ueoka layers eggless chocolate pudding with cinnamon-flavored graham cracker crumbs, ice cream, bananas and banana whipped cream. 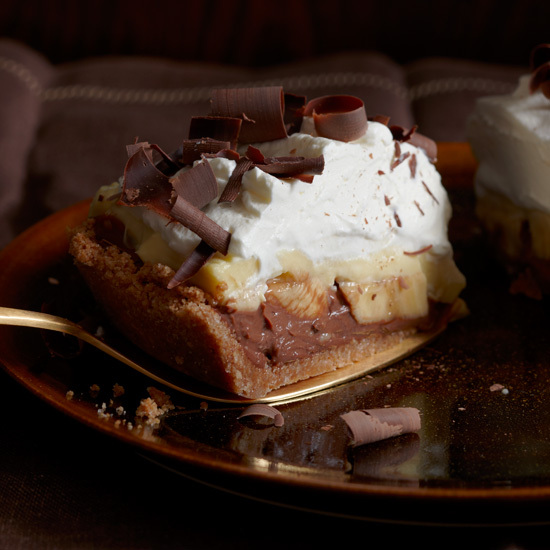 This tropical-flavored pie is topped with sweet, crunchy banana brittle. An honorable mention since it's not technically a banana cream pie, this gooey dessert made with dulce de leche, bananas and a thin layer of chocolate is a decadent standout.